I am Indu Upadhyay . 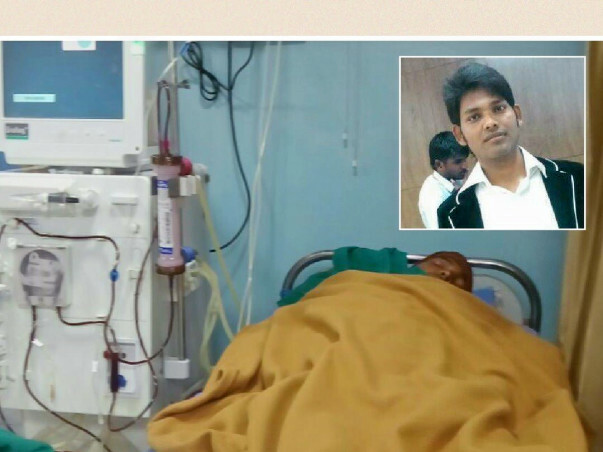 I request to all of you please help me. 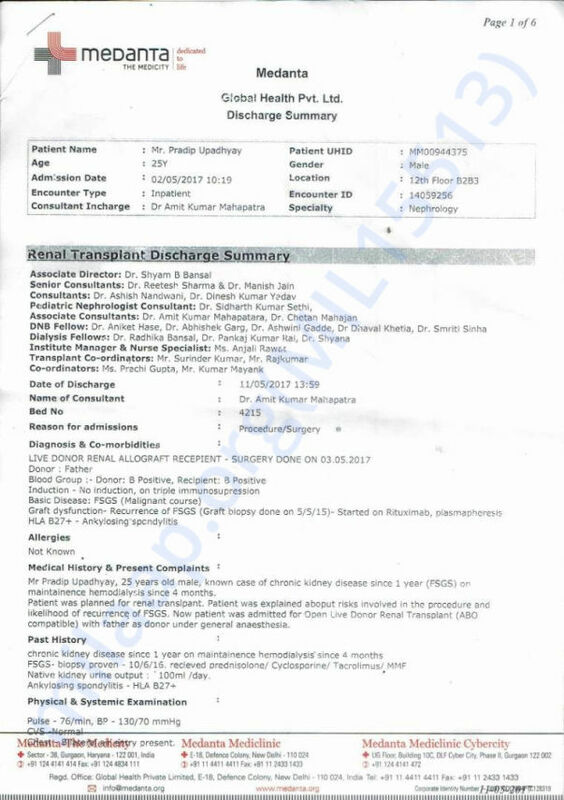 My Younger Brother Pradip Upadyay got kidney failure due to graft dysfunction and reoccurrence of FSGS malignant disease. The Doctors have decided to do Plasmapheresis till one year (twice in a week) and try to Rituximab 4 injection. 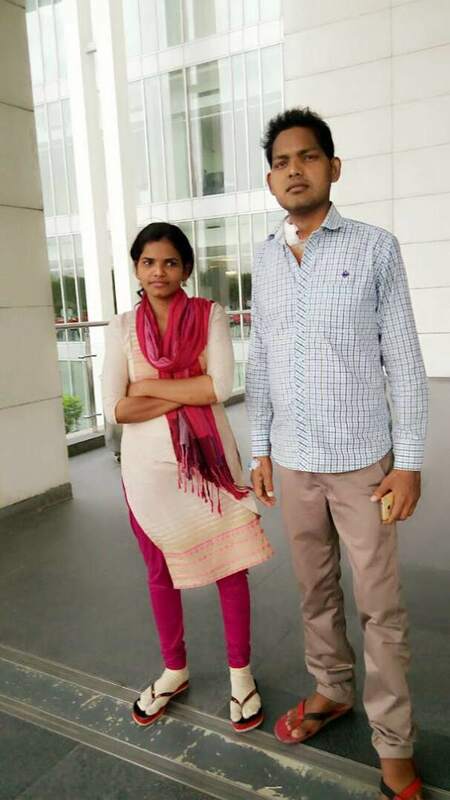 Due to poor finances I am unable to pay for treatment of my brother. 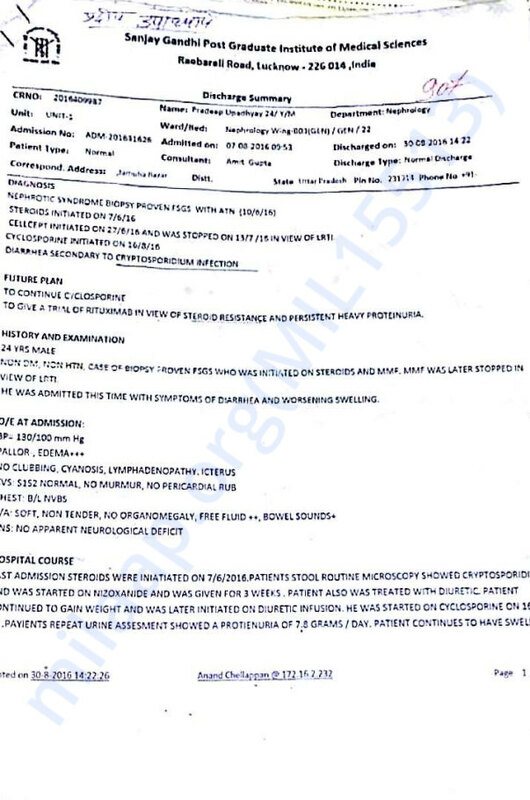 He is serious and needs immediate Plasmapheresis and Hospital admission.. So Please help me I am in serious medical emergency going to admit my brother in SGPGI Lucknow. The time is too less . 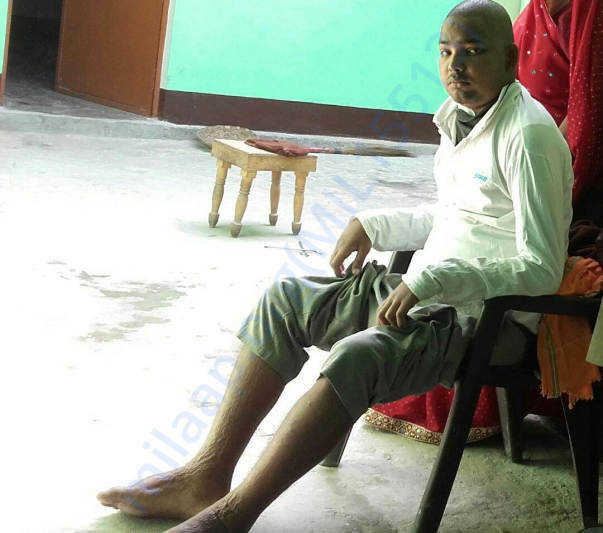 We would like to inform you about Pradip's treatment. 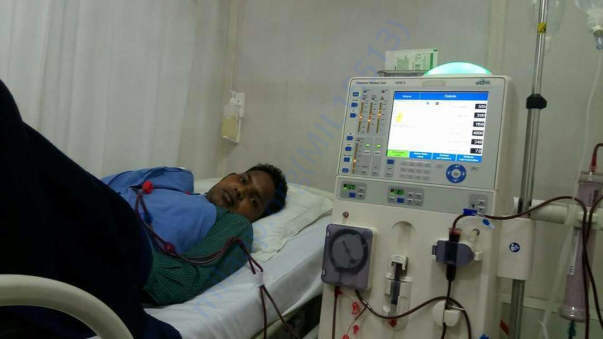 Doctors have identified Pradip's father as the donor and would be performing the transplant surgery sometime this week. The famil was able to arrange 5 lakhs from other sources and remaining funds were raised through Milaap. 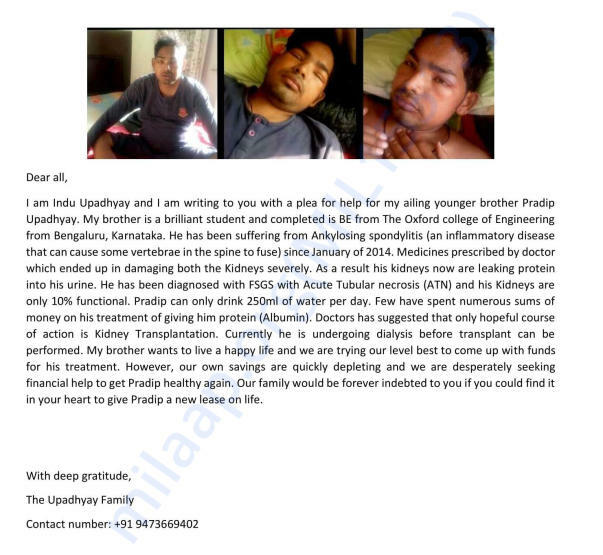 Please keep Pradip in your prayers. We thank you all for your generous contributions.